St. Louis Wood Floor Co. Most importantly, keep them clean especially of abrasive grit. Soft bristled brooms work well, but a canister vacuum with a soft bristle floor attachment is the best. 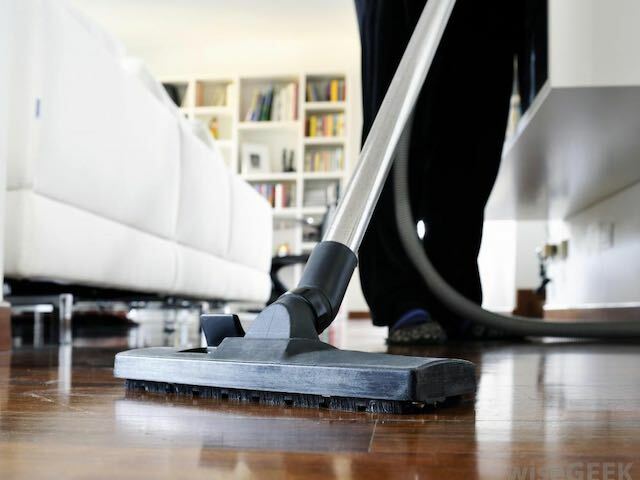 Swiffers do a good job but beware of getting grit under it scratching your floors. See below for more detailed directions on cleaning hardwood floors. Put rugs in entryways and in high traffic areas, they will help protect your floors from dirt and grit. In front of the kitchen sink should also get a rug. Spills are the next worse thing, small spills quickly cleaned up will not harm your hardwood floors at all. However, if you a have a large puddle that is allowed to seep in, your floors will buckle. 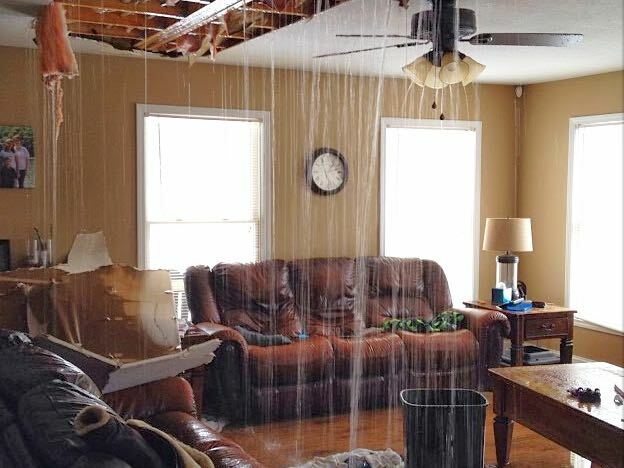 Click here for more information on how to handle water damaged hardwood floors. Be careful about furniture, old glides sometimes break off leaving an exposed nail that gouges into your floor. Make sure and protect your floors by putting good quality glides on your furniture, especially the chairs. We recommend using nylon glides, not cheap felt. When moving furniture always lift it completely off the floor. Frequent wet-mopping is not recommended. Sweep or vacuum your floor and spot clean any soiled areas with a rag and spray bottle of hardwood flooring cleaner. When mopping wood floors use a purpose made hardwood flooring cleaner or a dilute solution of a detergent such as Formula 409, 1 Tablespoon of detergent to a gallon of water. Do NOT use Murphy's Oil Soap or any other product that "cleans and protects". These products are essentially soft finishes that scuff easily and trap dirt. They only make your floors look better until you walk on them. Do NOT use ammonia or ammonia based cleaners as they will actually stain most woods. Do NOT use a lot of water when mopping. You can have your hardwood floors recoated without sanding. This is a great option for keeping your floors looking new. © Copyright 2018 St. Louis Wood Floor Co.